Thank you Organized Creations for this guest blog post! The weather is slowly warming, and more people find themselves wanting to get out and do something. Many homeowners tend to prioritize cleaning and organizing in order to get a fresh start for the summer months. Although cleaning every area of your home might sound like a daunting project, breaking it up into smaller tasks and organizing along the way can make a huge difference. The first step towards completing any task is to set a goal and make a game plan. Decide on a date you want to be done and how much time you’ll devote to your project every day. Then, decide which areas of the home you will tackle first. This will help you stay focused and make the most of your time. Once you have chosen a specific area of your home to work on, you need to declutter that space. This means that you get rid of things that you don’t need or want, including items that don’t belong in that area. Throw away broken belongings and consider donating items that are still in good condition. Now that you are only working with things you want to keep, it’s time to do a deep clean. There can be lots of dust and grime build-up over time, especially in areas that don’t get used very often. Simply wipe down surfaces with some cleaner and a rag to clean and freshen up the room. Having a place for each item is essential in keeping your home organized. The easiest way to do this is by grouping similar items together. This way you can quickly know where an item belongs. If you have trouble fitting your belongings neatly in one area, consider installing more storage systems such as shelves, cabinet drawers, wall organizers, etc. While you are focused on organizing the contents of your home, make sure not to forget about your garage. The garage is easily overlooked but is usually one of the biggest contributors to clutter and disorganization. Constant misplacement and lack of storage space make it easy for your belongings to start piling up on the floor. Warmer weather will allow you to spend more time in the garage so you can create the functional storage space you’ve always wanted. Organized Creations, located here in Fort Wayne, specializes in helping you organize your garage. They work with you to understand your storage needs and transform your garage into a space that you enjoy. With a designated place for each item, you no longer have to spend valuable time looking for specific items. Instead, you can quickly grab that camping equipment or sports gear and be on your way. Organized Creations designs and installs custom storage systems for each client. Because no two homeowners are the same, Organized Creations works with the homeowner to create a unique solution to fit their lifestyle. Choose from a variety of quality products that will last through the everyday wear and tear to create an organized and functional space. They offer custom, lockable melamine cabinets that hold up to 100 lbs per shelf, available in 14 colors with four handle finish options to suit your style. Their layered shelving holds up 1,000 lbs on every 4 ft section with a variety of hook sizes and functions. Accessories to hang your items and maximize your wall space create even more storage possibilities. Overhead storage racks are installed on the ceiling to help get your seasonal and rarely used items out of the way. Organized Creations has a new motorized solution that will raise and lower with the tap of a screen on your phone. In addition to these storage solutions, they also offer epoxy coatings and floor tiles to protect your concrete from oil stains and other spills. Organizing your garage is an important step that can’t be forgotten when you go to organize your home. These same tips of setting goals, decluttering, cleaning, and organizing should be applied to your garage. Contact Organized Creations to get started on your professionally installed storage solutions to create an organized, functional garage that will stay that way for years to come. With a fully organized home and garage you’ll be able to make the most of the coming summer months. This post was written by Shaelyn Peterson at Organized Creations. They help homeowners get their garage organized with custom storage systems. Do you leave for vacation and it takes 1-3 days for your mind to relax? Did I shut off the lights, pack the snacks, get the minivan serviced (because all moms don’t drive Range Rovers…yet), electronics charged, batteries stored, bucket list packed, pillow sheets washed and clean, sunscreen (never mind, somethings just get purchased while on vacay), oh shoot the dog..! Ok, wave the magic wand. What does a perfect exit look like as you head off for the glorious vacation you’ve worked so hard to plan? We’ve compiled a list of things for you to remember prior to rushing out the door so that anxiety doesn’t creep in and you can be fully present on vacation. Because no one ever said, “I don’t NEED a vacation”!! Certainly pick up something memorable on vacation and bring it home to add to your decor. When you return you will have a new appreciation for your home. A portion of going on vacation is the return to everyday life. Memories of your time away will be activated by the sentiments you bring home with you. Each time you see it your reticular activator will signal that memory and hopefully put a smile on your face. Create moments together and write another page of your story this week. We can’t wait to see pictures! What does sandy beaches, too much La Croix, and music videos during Spring Break have to do with home decor? On a recent trip with friends I was persuaded or shall I say encouraged to run like a giraffe. Despite making a complete fool of myself, that memory of running down the beach like a gracefully elegant yet awkward giant will forever be engrained in my mind. Over the past few years, whenever I see a giraffe I am reminded of these friends, the time at the beach with our family and the warmth it brings knowing it’s my moms favorite animal. 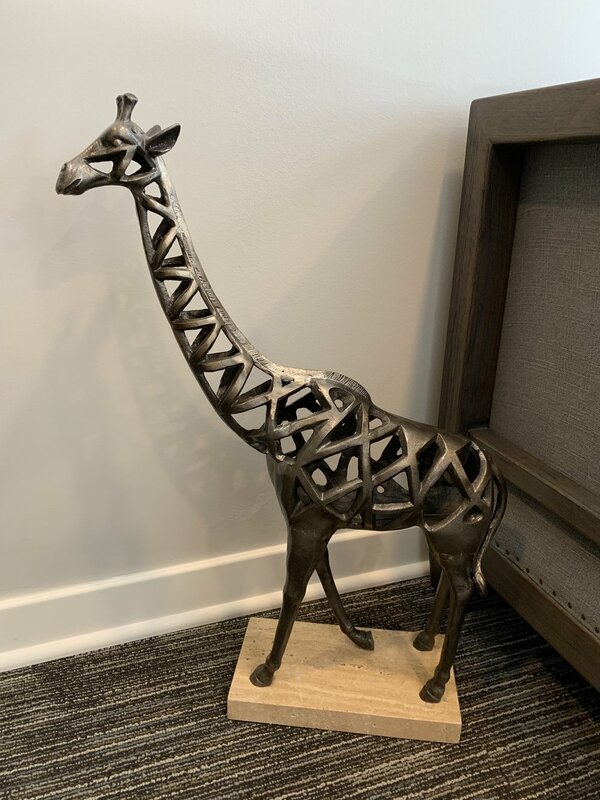 I’ve incorporated giraffes at our home and at #thenollteam office. What makes you feel joyful or inspired? Display it and don’t hesitate. If it #sparksjoy, you will keep it around for years to come and it will help your house feel like home. Is there a piece of art, a symbol, or even a pattern you have discovered that invokes a memory you want to hold on to? Share with us some #inspiration! Angela has spent her life in Noblesville, Buffalo New York, and family brought her back to Fort Wayne. She got married 10 years ago, and has been here since! Her family is Coco, mutt that is a little over 10 years old that they rescued. (Nicknamed Coco-Nut because she's a 'nutcase') Her daughter Faith-Adalynn is almost 1, and Laela is 15. Before ever becoming a licensed Realtor, Angie knew she wanted to do something with Real Estate. She said while living in Buffalo, she'd pay close attention to the housing market trends, and says she used Realtor.com before half of the world knew it existed! In Fort Wayne, she worked in retail management for Maurices for several years. She wasn't a fan of the hours, but loved building relationships with clients and teaching her associates. She 'retired' from this job in 2015, when she got her Real Estate license! She loves being a Realtor because she gets to meet so many different people, all of which become friends and part of her family. She enjoys walking people through what can be such a scary process, and keeps the experience fun and exciting so they still have a smile on their face by the end. If she could ask for anything more from the job -- it'd be more hours in the day to be able to spend more time with all of her clients. Angie recently came to the Noll Team last summer, as a Buyer's Agent. Some of the weird things she's found in homes over the years are: a door with a bulkhead behind it so if you walk through without paying attention you'd smack your head. She once found a toilet under stairs in a basement freely open for the entire room to see. Lastly, the reason Realtors call out 'anybody home' even when they think nobody should be home, she walked in on a guy sleeping in his bed with no clothes on! Trevor Day is our intern here at the Noll Team. He’s a Junior at PFW, even though he’s only been on campus for 2 years. He got ahead of the game by taking courses in highschool and through his summer breaks. He’s really ambitious - going for a major in marketing with a minor in management. So far in school he’s enjoyed his communications and public speaking classes. He recently job shadowed Brad for awhile, and fell in love with the communication and relationship building you get to do with clients as a Realtor. This pushed him to do more school in addition to his college courses — a Real Estate Certification program. He really looks forward to working with a Real Estate team. He grew up in Auburn, but has since moved to the Northwest side of Fort Wayne. He has one older brother who lives down in Indianapolis with his soon to be sister-in-law Erin! His parents live and work in Fort Wayne - his dad is the store director for the Meijer on Illinois Road, and his mom is a home care nurse with “Visiting Angel.” He’s got one dog, Cubbie! He’s 14! He’s played basketball his whole life, and if he was given a whole free day of no obligation (which he never has,) he says he would spend it playing more basketball, watching sports, and finding deals with his girlfriend, LaShay. They love to try out new restaurants together or un deals, like Flat Top’s “2 for 22 bowls.” They even went so far as camping out front of the new Chik-Fil-A to win a years worth of meals there for free! Just a couple tips now that temperatures are low and snow is upon us! If you’ve been in your home for a very long time, or if you’ve just purchased an older home, it’s probably time to get your furnace cleaned! In addition to getting your furnace cleaned, here is a source to keep in mind for all aging homes. Take care of your pipes! If the temperature dips below 20 degrees, keep one or two faucets running slowly to keep water through the line. This should help prevent your pipes from freezing. You can also keep the cabinet under any sink along external walls open to allow warm air flow to the pipes. Lastly, cover any exposed pipe with foam covering to help keep out the cold. Are you renting out your home? Make sure to send some reminders to renters for some things they should be taking care of through the winter. Here is a good list of preventatives you can remind renters of that are easy and will save you a headache should something go unattended to! New to home-ownership and starting to panic just thinking of these couple items? No worries, here’s a pretty good list on what you should be doing each winter. "How to Get the Mortgage Monkey Off Your Back"
Autumn Ridge is an established, mature neighborhood with a strong sense of community! There are a variety of younger families that are here and are moving in as well - and then there are the people that built and have been here since day one. It's really neat to see their pride in the neighborhood! They do a variety of events at the clubhouse throughout the year and if you golf, it is a beautiful course! Many of the homes have a view that overlook the course. Autumn Ridge consists of 260 lots, a swimming pool, and tennis courts! These homes send their kids to Perry Hill Elementary, Maple Creek Middle, and Carroll High School. Join Charity as she talks House to Home, Ella Chic Boutique, and what the housing market looks like currently! One of our clients opened a furniture boutique called House 2 Home back in August. We wanted to bring recognition to the cute space, so we invited a local boutique, Ella Chic Boutique, to join meet us there, along with a handful of clients from the past year! It was a fun evening with a tablescaping & accessorizing demo with wine and appetizers and great laughs! Zillow (owns Trulia) is a for-profit who aggregates their listing data from National Broker sites, other third-party sources (e.g. Oodle, hotpads, public records etc. ), or directly from property owner (Make Me Move) or agent. This could take multiple days for information to be updated, and allows for greater error of information. Our IRMLS does not syndicate to Zillow. So what's the difference? Zillow may include more rentals as well as off-market or up and coming listings that a broker is marketing yet hasn't loaded into the MLS database. It’s in Zillow’s best interest to show you as many properties as possible, whether they’re really for sale or not, in order to keep you on their site longer and to entice you to submit your information. 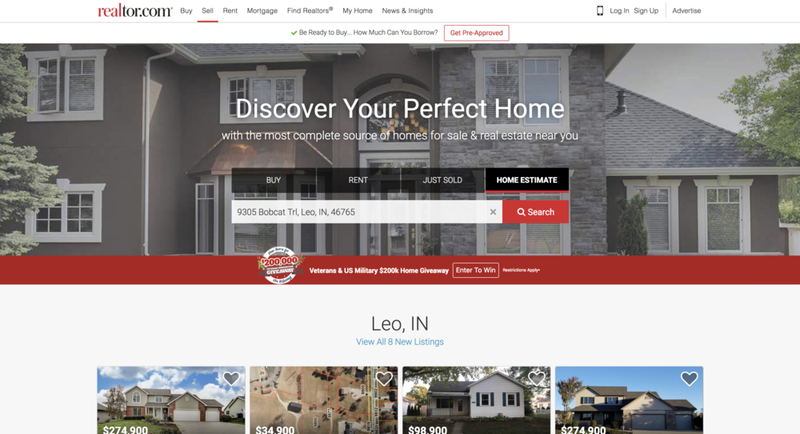 UPSTAR does not allow “coming soon” or “pocket listing” advertising. Zillow makes money by capturing leads (aka every time you request information about a particular home), where then that information is then sold to an Agent as a paid advertiser. These agents have paid significant amount of money to have access to your information. Visit our contact page and reach out for any of your home needs - we’d love to help! Lori is our client care specialist here at The Noll Team, she helps with everything related to transactions when buying or selling a home! She was born here in Fort Wayne, moved to Buffalo, New York for several years, then came back! She grew up going to Whispering Meadows, Woodside, and then chose to be homeschooled for highschool. Her recommendation to those considering homeschooling is that it’s only for students dedicated to their schooling, as well as students with a dedicated support system for that schooling. Back in school, social studies was her favorite. She said she did not do sports growing up, and to this day “excercise is against my religion.” In her freetime, she’s an avid reader — C.S. Lewis being her favorite author. “Till We Have Faces” being her favorite from his works, because it's an interesting take on an old story. Most of her evenings are spent going house to house to see some of her 7 siblings!! That’s right — she has 4 brothers and 3 sisters. Lori is the youngest, and gets to spend time with her 10 nieces and nephews from time to time to make sure their parents get to experience adult life away from kids every once and awhile. Her greatest asset right now is her witty sense of humor, and she’s keeping watch of her brother’s dog while he’s away for the army. Ruby (nicknamed ‘Little Girl’) is a beagle/daschund mix if you ask her brother…but possibly also a chihuaha-weenie dog if you ask her brother’s girlfriend. Either way…she’s adorable! 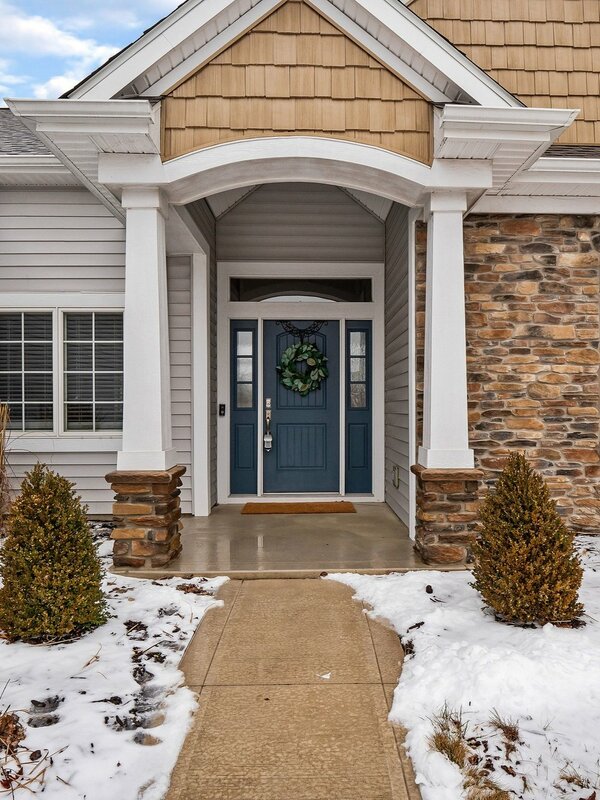 One of the most sought after neighborhoods on the SW side of Fort Wayne - Bridgewater! Complete with sidewalks on both sides of the street so your kids can walk to their friend's house with ease! 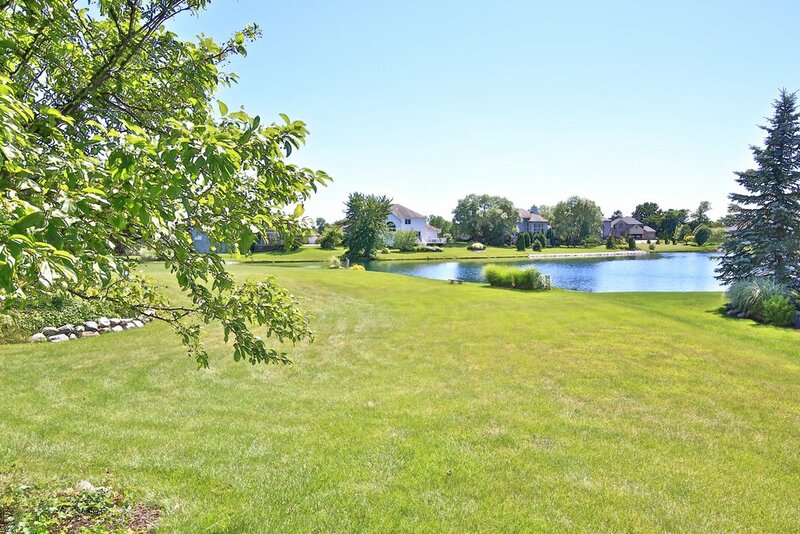 There are ponds on nearly every street, making for a beautiful view from every backyard! Homes in this neighborhood send their kids to Southwest Allen County Schools. Covington Elementary and Woodside Middle School are both within walking distance, and Homestead High School is a 5 minute drive away! You're down the road from the highway, so you can get to any part of Fort Wayne easily! Selling 101: FSBO or Using a Realtor? People always ask, why use a Realtor when you could do a ‘for sale by owner?’ Using a trusted Realtor makes sure you, the seller, get the best experience throughout the process. It also ensures the buyer that everything from the home price to inspections have been completed by a professional. The market is hot. There are a lot of buyers but not a lot of sellers, and navigating through many offers can be very difficult without the help of a trusted Realtor. People always ask who sets the price of a home — FSBO often come with an uneducated sale price. A trusted Realtor will look at the market and do a professional analysis of consumer driven resources like Zillow, will look at other homes in the area and what they’re selling for, and they will take into consideration the cost of inspections and what work might need done on the house! We’d be happy to answer any and all of your questions. Get in touch with us today! Market update from Parkview Field! Brad talks the current market and if now is a good time to sell! Tune in, then get in touch with us! brad@thenollteam.com! Lindsay is from Jackson, Michigan. In highschool she was an avid varsity soccer and basketball player! Fun fact: she met Brad in middle school, and they started dating in highschool! She went on to Indiana Wesleyan for nursing, whereas he went to play basketball for IPFW. They successfully did the ‘long distance thing’ for a few years before he proposed to her in the airport after she had been out of the country for a bit! Fast forward and they moved to Fort Wayne, where Lindsay became a nurse at Lutheran where she stayed for 6 and a half years. She loved the environment that kept her around people all the time. This was a place that allowed her to constantly learn new things and she just really liked helping people feel better. Nowadays she volunteers her skillsets at The Hope Center on Calhoun. She’s been doing it every week for the past year and a half, and she loves that she gets to mentor young pregnant women there. She found out about The Hope Center from The Chapel, where she goes to church. The Chapel is great about addressing the needs of the community, and Lindsay is the type that when she sees a need, she will help fulfill it if she can! The Chapel also brought her attention to a medical mission trip to Haiti this past October with Mission of Hope. She says that her calling from God was to be a nurse, and God’s call back to nursing was to go to Haiti for a week! Brad and Lindsay have been in Fort Wayne for a long while now — Lindsay says they just love all the people they’ve met and the relationships they’ve developed and they enjoy all the local businesses around. The low cost of living here makes it easy for them to travel out to California to visit family. Fort Wayne is where her kids have grown up, Breana, 11, Delaney, 8, and Trey, 6. All three kids are interested in golf and basketball — no surprise if you know their parents! Lindsay loves being a mom. She says their innocence and whole different perspective on life is encouraging, and she loves how unique they all are from eachother. Lindsay’s role with The Noll Team is to fulfill whatever needs the team has. 2 years ago she started with a goal to throw housewarming parties which she loves doing along with staging houses. Both things allow her creativity to flow a little bit, which she enjoys. She also aids in event planning and helps with any marketing needs.